Fresh, clean, comfortable and timeless describes this Kraftmaid Vantage kitchen. 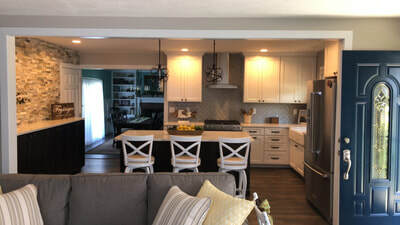 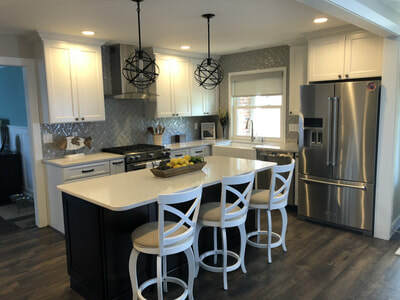 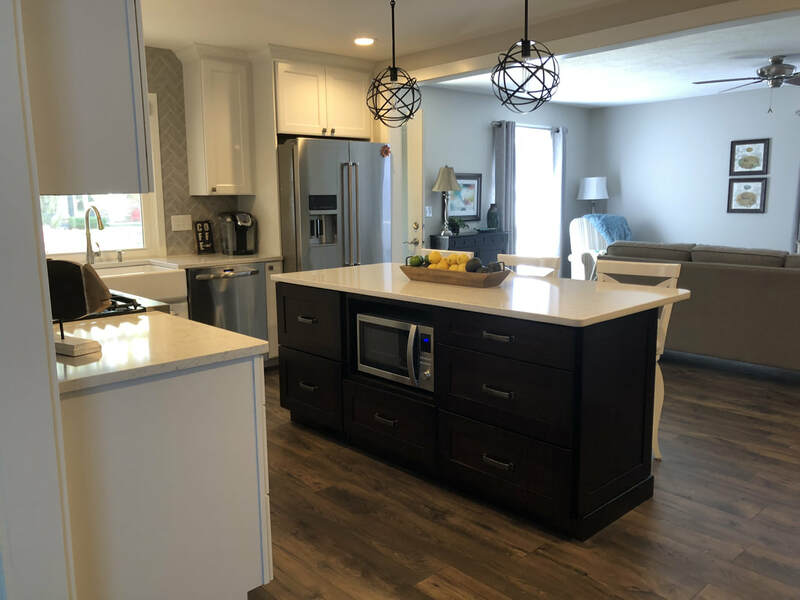 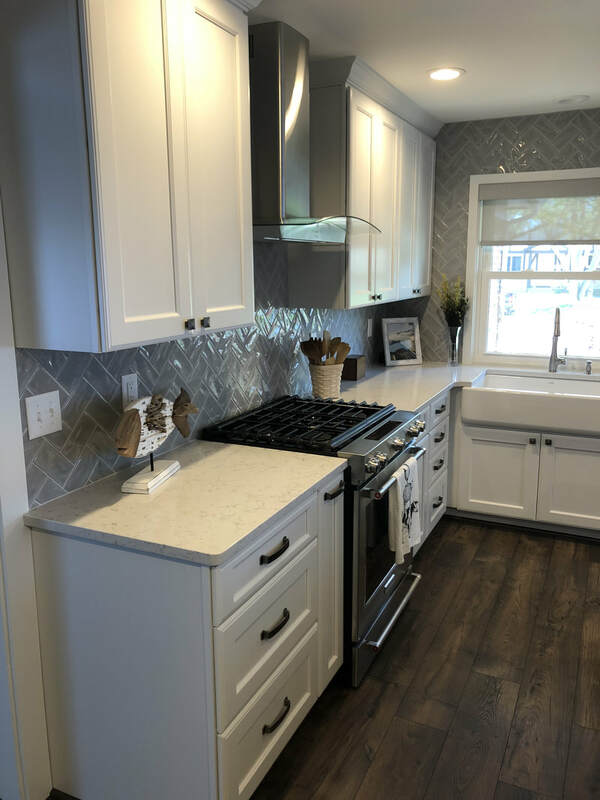 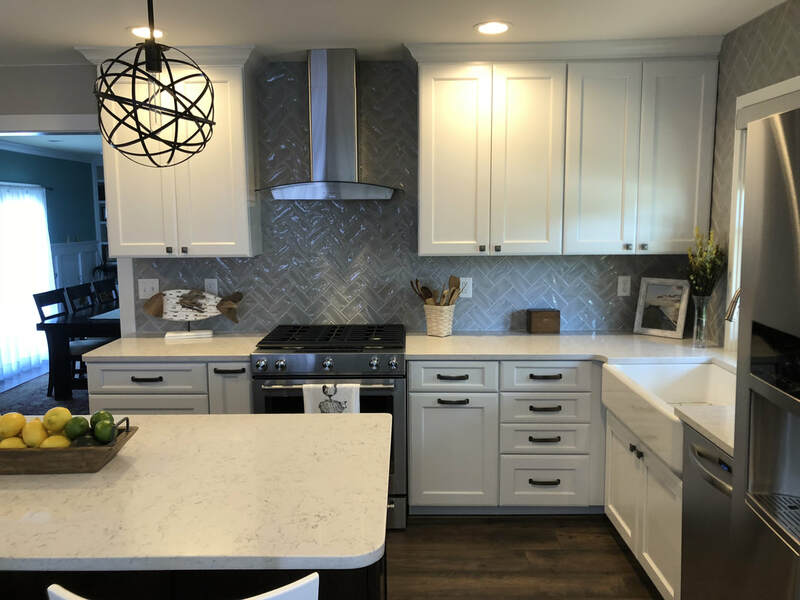 Featuring cabinets from the Kraftmaid Vantage line; perimeter cabinetry in Renway Maple Dove White and the island & buffet in Putnam Quartersawn Oak Peppercorn. 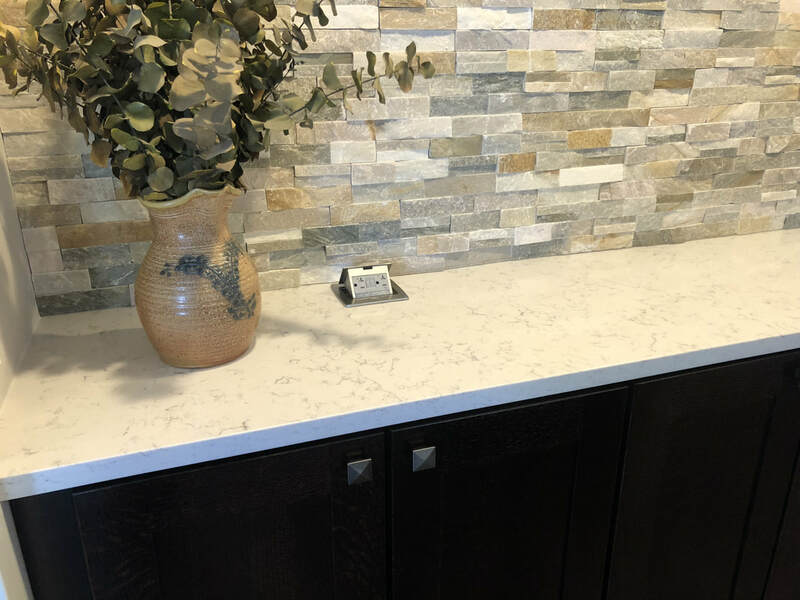 Beautiful Silestone quartz countertop in Lyra and a convenient built-in pop up electrical outlet in the buffet for serving.